This story about Romney’s accomplishments and problems as governor of Massachusetts illustrates the Romney many of us foresee entering the White House should he prevail against Obama. 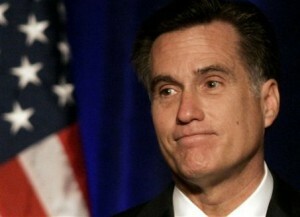 It’s a Romney who is unable to break away from the CEO mentality of “What I say goes”. One who can’t truly grasp what it means to work with other elected officials nor fully comprehend that members of state legislatures, or Congress for that matter, are not his employees who will obediently follow lockstep with every decision he makes. Given his past as governor, one would think Romney would comprehend better than most the frustrations Obama has faced in his attempts to move his policy forward amidst an ideologically driven opposition.